Whether parts are made by conventional machining, casting, EDM, or laser sintering, the surface finish won’t be perfect. Instead it will have some amount of pits and burrs, especially in the hard-to-reach internal passages. Our internal deburring in El Segundo CA can solve this problem. We can help with parts you’ve made yourself or with aftermarket finish improvements on parts like automotive manifolds. The good news is, you can easily grind away burrs and improve your parts with Extrude Hone AFM’s internal deburring in El Segundo CA. 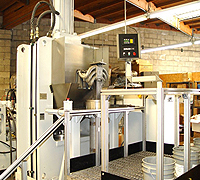 Extrude Hone AFM is a leader in internal deburring in El Segundo CA for all kinds of applications. We started with automotive parts and have most recently developed solutions for 3D printed metal parts. The process is essentially one of controlled erosion, accomplished with an abrasive grit suspended in a polymer media that is forced through the part with a hydraulic ram. By using grits with different abrasive powers and polymers with different viscosities, and by carefully controlling the flow through the part, we can aggressively remove large burs or polish away tiny ones in any size or shape of internal passage. The process results in highly uniform results on all internal surfaces, so that the part’s geometry is not compromised by rather enhanced by the deburring. When you need internal deburring in El Segundo CA for a precise application, rely on Extrude Hone AFM. 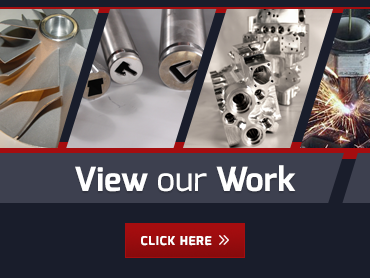 We’ve worked on all kinds of parts made from the toughest super alloys to softer metals like aluminum and copper. There’s no “trial and error” involved in our process! You can count on us to deliver the desired result right the first time.